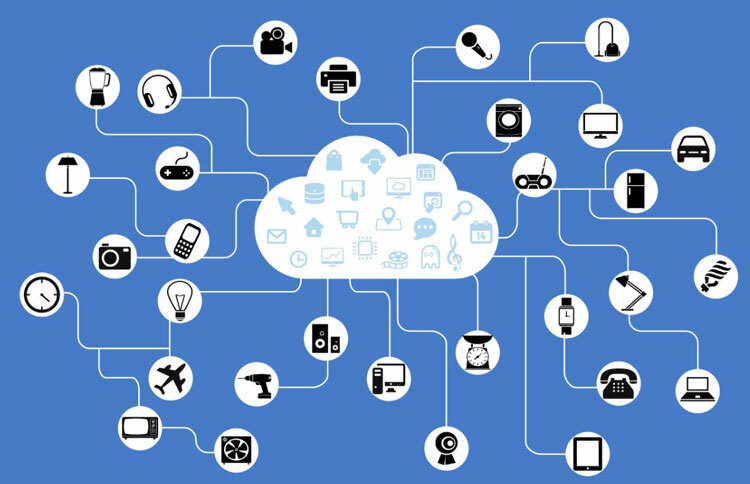 The Internet of Things (IoT) needs reliable, secure, low-energy and low-cost wireless connections to ensure that the Things that are increasingly being introduced into home, work and industrial settings can make that vital link back to their host services. Bluetooth technology looks likely to play an important role in enabling the IoT – 8.2 billion devices are already using the standard and, according to ABI Research, 48 billion devices will be connected to the Internet by 2021, and 30% of them will use Bluetooth to do so. Bluetooth, which was conceptualised as providing a consistent way to connect early mobile phones to hands-free kits for cars, has evolved a long way since then. In its latest release, Bluetooth 5, the standard is adding features that will give IoT device developers greater flexibility in making the trade-offs between range, data rate, discoverability, energy use and security necessary for a successful implementation. One of the most important updates in Bluetooth 5 is the introduction of new physical-layer interfaces (PHYs), in other words the circuits that actually send and receive the RF energy that makes up the wireless signal. In Bluetooth 4, the PHY is known as LE 1M, and sends one million symbols per second (1Msymbol/s) to achieve a theoretical data transmission rate of 1Mbit/s. Support for this PHY is mandatory in Bluetooth 5. The first new PHY definition in Bluetooth 5 is LE 2M, which uses double the symbol rate of LE 1M, and so doubles the data rate to 2Mbit/s. However, neither of these PHYs use error correction, and so the range at which the LE 2M PHY can deliver its theoretical 2Mbit/s is expected to be about 80% of the range at which LE 1M can deliver its theoretical 1Mbit/s/. This loss of range is due to increased inter-symbol interference in the faster variant. For even greater flexibility, Bluetooth 5 supports another PHY, known as LE Coded, which can be used in two ways to trade off range and delivered data rate. One implementation of LE Coded quadruples the range of Bluetooth transmissions, when compared to those achieved by LE 1M, at the cost of dropping the delivered data rate to 125kbit/s. This implementation uses the same 1Msymbol/s transmission rate as LE 1M, but uses more of those symbols to add redundancy to the signal to enable error correction. The second variant of LE Coded uses fewer symbols to support error correction, and so can achieve 500kbit/s data rates over a range twice that of LE 1M. The ability to support higher data-rates should open up opportunities in audio and video transmission over Bluetooth. The enhanced range of the new PHYs should make Bluetooth more useful within homes and buildings. And the higher symbol rate used by LE 2M enables greater spectral efficiency, which should enable new uses for Bluetooth in sports, fitness and medical equipment. One of the key functions of Bluetooth is advertising a device’s presence so that other devices nearby know that it exists and can start the process of negotiating a connection. In Bluetooth 4, advertising packets are broadcast on three out of Bluetooth’s 40 radio channels, and carry a payload of, at most, 31 octets. Bluetooth 5 extends the advertising facilities of the standard to enable more data to be shared through the mechanism, to make that sharing more deterministic, and to make it possible to broadcast multiple distinct sets of advertising. These features are going to be important for building next-generation Bluetooth beacons, the current generation of which is beginning to appear in shops and airports as a way of linking the physical and virtual worlds. Forecasts from ABI Research say that more than 371 million Bluetooth-enabled beacons will be shipped by 2020. Bluetooth 5 could make interactions with these beacons much richer: while today, for example, a vending machine may simply report an ID or URL, with Bluetooth 5 beaconing it could report its location, temperature, stock levels, battery levels and so on. Another important aspect of Bluetooth for IoT implementations is the standard’s support for mesh networking. This approach to networking makes particular sense in the context of the IoT, in which we expect large numbers of devices to be installed in heterogeneous environments. It will be much easier in these scenarios to rely on these devices to create a network among themselves than to try and work out how to link all the devices back to a central hub. We are already seeing how important security is to the IoT. Several recent denial of service attacks upon online services have been implemented, in part, by IoT devices that have been suborned by hackers to become part of the attacking network of bots. This a dramatic illustration of the importance of IoT safety, but it is important to recognise that even what appears like inconsequential data from IoT devices, such as the temperature setting of a connected thermostat, should be protected. Otherwise, bad actors could use that information as a proxy for whether or not a building is occupied. Bluetooth mesh networking extends the connectivity options available to Bluetooth users. Early versions of Bluetooth only supported 1:1 pairing arrangements, although some devices could support multiple pairing to create what is known as a piconet. With the introduction of Bluetooth LE, users of the standard gained the ability to make one too many connections, broadcasting data to as many listening devices as are within range. The advent of mesh networking support now means that Bluetooth devices will be able to form many-to-many connections and use those connections to relay data between devices that are not within direct radio range of each other. Bluetooth mesh networking is secured by a multilayer security design, which mandates the use of keys to secure the network against attacks on various levels of the stack. For example, device keys are needed to set up a node so that you can add devices to a network. Application keys enable users to secure messages relating to specific applications, such as lighting or heating systems. And network keys apply to all messages on a mesh network, to ensure nodes can communicate securely with each other. The mesh networking protocol also makes it possible to blacklist a node that has been removed from a mesh, so it can’t then be re-introduced to the network without re-authentication. If you’re interested in exploring the capabilities of the latest version of the Bluetooth standard, especially in the context of IoT implementations, Rutronik offers the first fully Bluetooth 5 compliant system on chip (SoC), the nRF52840 from Nordic Semiconductor. It supports the new PHYs, as well as ANT, 802.15.4 (Thread), and 2.4GHz applications. The SoC has a 64MHz, 32bit ARM Cortex-M4F CPU, 1 Mbyte flash memory and 256kbyte RAM, an NFC tag, USB 2.0 support, and 48 GPIO signals. It also has peripherals, including QSPI, NFC-A, and an ARM CryptoCell 310 cryptographic co-processor. The operating voltage range for the SoC is from 1.7-5.5V and it comes in a 7x7mm2 AQFN package. Support includes the S140 SoftDevice, which is a prequalified Bluetooth 5 protocol stack (central/peripheral /broadcaster/observer). The chip is compatible with nRF52, nRF51, and nRF24 series products. There’s also a development kit for those who want to start assessing the SoC as soon as possible. 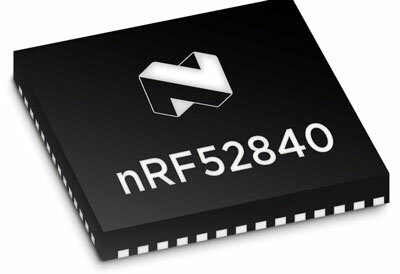 If you don’t want to start from the level of the SoC and work up in order to explore the capabilities of Bluetooth 5, Rutronik also offers two modules based on a related Nordic Semiconductor SoC, the nRF52832. This has a Cortex M4F CPU with 64kbyte of RAM and 512kbyte of flash memory. The two modules are the ISP1507 from Insight SIP, and the BlueMod+S50 from Telit. The ISP1507 module is just 8x8mm2 but integrates two crystals (running at 32MHz and 32KHz) and an antenna. The BlueMod+S50 from Telit fits the same 10x17mm2 form factor of previous modules, such as the BlueMod+SR dual-mode module, the BlueMod+ S, and the BlueMod+S42. This physical compatibility should make it easier to upgrade an existing design with the latest Bluetooth capabilities. Both modules support Near Field Communication services and offer low power consumption. Telit also includes Bluetooth profiles it has developed in-house, such as the Terminal I/O profile, which is compatible with the SPP profile for conventional Bluetooth. The ultra-low power BlueMod+S50 module is designed for IoT applications ranging from home automation and healthcare to battery-operated applications with long product life-cycles. Bluetooth’s steady evolution over decades, very large installed base and committed supplier ecosystem positions the standard for a key role in enabling the next generation of IoT devices. The new PHYs give users more options to trade off data rates and range, and so enable longer battery lives in applications that don’t need to transfer much data, new services such as video streaming at the higher data rates, or greater range within buildings. The new advertising facilities will make beacons more sophisticated and therefore more widely used, while mesh networking should make it much easier to roll out large estates of IoT devices without having to worry about how they will connect to their host services. Finally, the emphasis on security should help IoT users protect their ecosystems from bad actors. In its latest incarnation, the Bluetooth standard has clearly come a long way from its roots in pairing handsets and car kits. Piece written by Daniel Barth, Senior Marketing Manager Wireless, Rutronik.